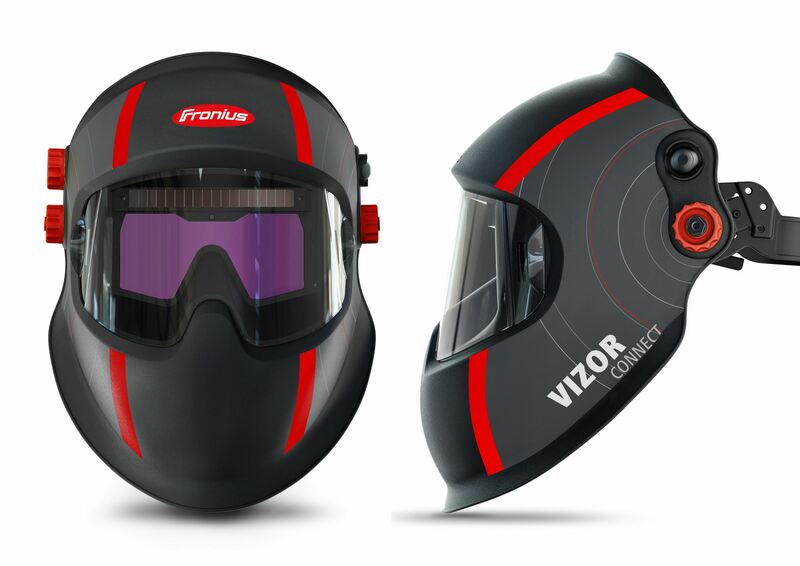 The Vizor Connect is the world’s first welding helmet that communicates with a power source via Bluetooth. This means that it darkens prior to ignition rather than waiting until the arc is lit. The helmet also eliminates the problem of interference from external light and reliably darkens even in demanding welding situations. It therefore ensures a higher degree of both safety and comfort. 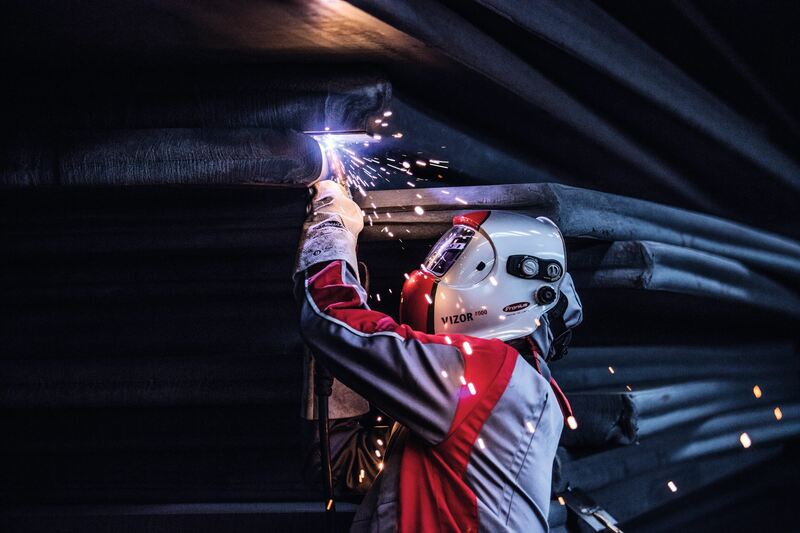 Using Fronius PreTrigger technology, the power source sends a signal to the welding helmet via Bluetooth as soon as the user presses the On button on the welding torch. The helmet therefore darkens before the arc is ignited. This protects users against the abrupt flash of light that would previously appear before the helmet darkened. This completely protects the welder’s eyes from welding light and reduces tiredness. The auto-darkening filter cartridge remains in place even at the lowest currents and if the arc is concealed and in constrained positions, as long as the arc is burning. This is because the helmet reliably responds to the signal sent by the connected power source. This improves occupational safety for the welder. The level of protection applicable to the welding process is automatically adjusted between DIN 5 and DIN 12. The darkness level is therefore perfectly adapted to the intensity of the arc at all times. The welder also has the option of switching to manual mode and infinitely adjusting the darkness as required. A further advantage is that the Vizor Connect eliminates the problem of interference from external light. Conventional welding helmets sometimes darken at inappropriate times as a result of light reflections, warning lights, or external welding light. Not the Vizor Connect. 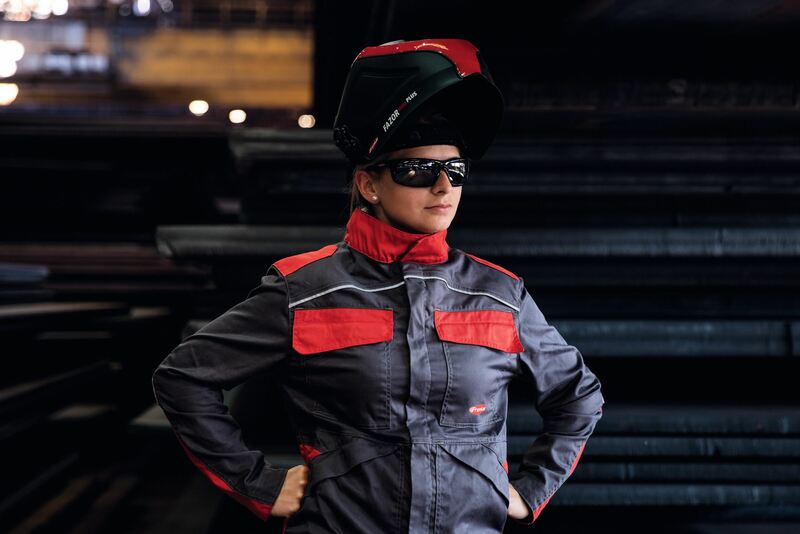 The helmet provides ideal protection during activities before and after welding, including grinding. 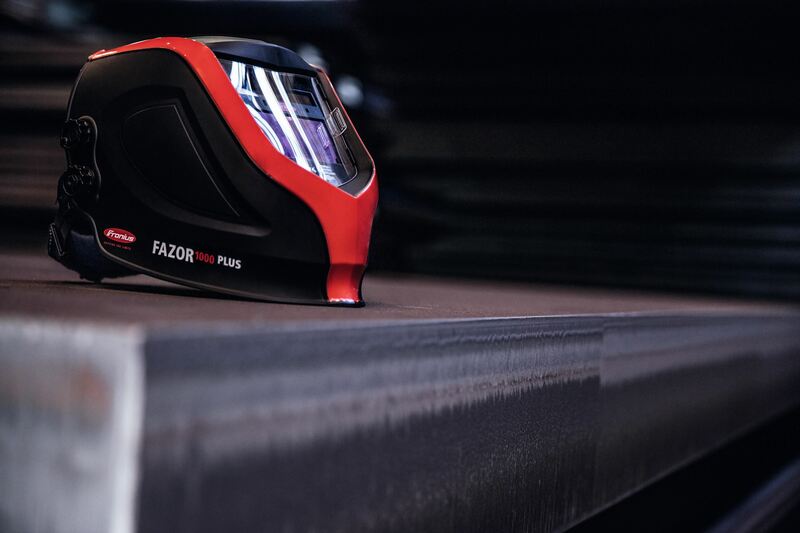 When the welder disconnects the Bluetooth connection between the helmet and the power source, the Vizor Connect acts like a conventional protective helmet and darkens in the presence of light sources as of a certain intensity. When the helmet is not darkened, it provides a clear view with a brightness level of 2.5 as well as real color perception thanks to a specially developed UV and infrared filter. The auto-darkening filter cartridge with nose cut-out gives the welder an unobstructed line of sight and makes the helmet extremely comfortable to wear. The special shape increases the field of view up to six times and reduces the weight of the helmet.